I have a close brother in the ministry who sent a text to me last night asking me to pray for him as he ministered to a family in need. Another brother needs me to pray for his daughter who is recovering from a complicated surgery. Yet another friend needs prayer because she is struggling with forgiving someone. I, too, am struggling with discipline, devotion, and evangelism. I, too, need prayer. What Christian doesn’t need prayer, right? Have you ever asked someone to pray for you? Did you mean it? Do you really think it matters? Of course, you do. You know that you are often sustained by the prayers of the saints lifting your cause before God’s throne of grace. We all wish others would pray for us. 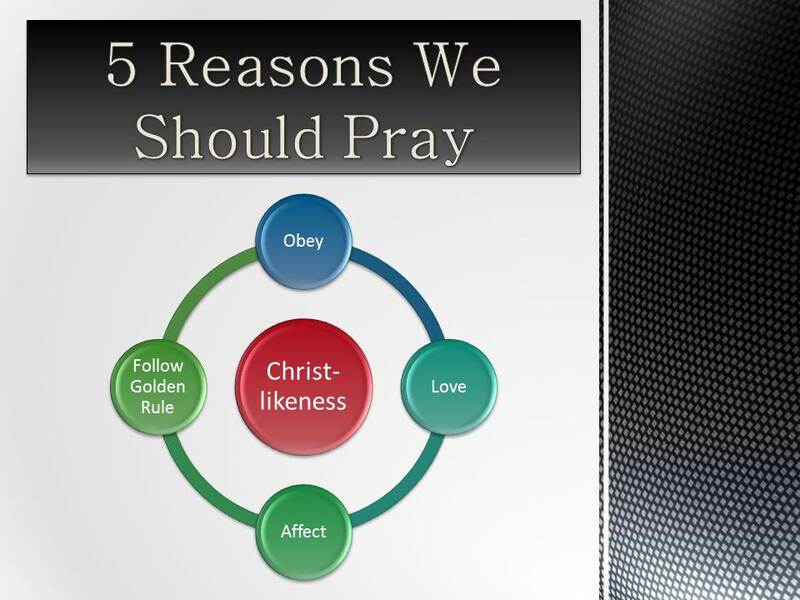 Therefore, prayer for others—maybe especially for the persecuted church—falls under the rubric of Christ’s “Golden Rule” found in Matthew 7:12, “In everything, therefore, treat people in the same way you want them to treat you, for this is the Law and the Prophets.” Do you want or need folks praying for you? Pray for them, especially for those suffering the greatest needs. Second, the Bible almost commands us to pray for the persecuted. I know that’s weird to say, but there is no direct command which says, “Pray for the persecuted church.” I think that’s because the Spirit makes it so obvious that we don’t really need to be commanded to do it. What Christian would think there is no need to pray for those Christians whose home has been destroyed and whose lives are in constant danger (as is currently the case in Iraq)? Even if there is no direct imperative to pray, there are several commands in Scripture which point to that end. Paul commands the church at Thessalonica to pray for him and his team so that they will speak effectively and be rescued from the evil of their persecutors (2 Thess. 3:1-2). If Paul needed Christians to pray that he might be faithful through persecution, then, perhaps, Christians suffering persecution today need prayer, too. In addition, Christians are told to pray concerning their own experiences of suffering (see Matthew 24:20, for instance). And Christians are commanded to pray for those who are persecuting Christians. It seems to me that such a command argues that we ought to pray not only for the persecuted, but also for the persecutor. And yet, he was miraculously and powerfully delivered from what seemed to him certain death. How was he delivered? Ultimately, he says, he was delivered by God, who raises the dead. Yet he also commends the church for the role she played in his rescue: “you also joining in helping us through your prayers.” We can conclude that the prayers of the righteous are effective for delivering needy brothers and sisters from desperate situations of persecution. The church helped Paul survive his suffering in Asia. And the church can help those suffering today through faithful prayers. Fourth, praying for other brothers and sisters in their times of suffering helps Christians to obey the command of Hebrews 13:3. While not a direct command to pray for the persecuted, Hebrews 13:3—the command to remember the persecuted—surely includes prayer. Indeed, it is a more broad command than simply praying. Remember Christians in prison, as though in prison with them. Remember those suffering ill treatment on account of Christ. Yet surely such remembering includes praying for the persecuted. Finally, our praying for suffering Christians reflects the love of Christ Himself for the church. Christ stood to receive Stephen, the first martyr after him (see Acts 7). He is as concerned for the suffering church as a groom is concerned for the appearance of his bride (Ephesians 5). What if wedding congregants were to spit upon the bride, curse at her, kick her, and beat her while she made her way down the aisle? Would the groom not erupt in violent anger? So it is with Christ. He is working to make His bride ready for the final consummation. According to Ephesians 5, Christ is working to make His bride—the church—spotless and blameless, to present her to the Father in all her splendor. This means, of course, that those who persecute the church are persecuting Christ’s bride and body. It is impossible for Christ to be more intimately linked to others than He is with His church. There is no question that Christ lives to make intercession for His church. Thus, when we intercede on behalf of our suffering brothers and sisters, we imitate Christ. We can believe it is the Spirit of Christ who so compels us to pray for the persecuted. Should We Pray for Satan? This entry was posted in Persecution and tagged 1 Corinthians, 2 Corinthians, Hebrews 13:3, paul, Persecution, prayer. Bookmark the permalink.